This simplistic wooden round frame will be a good focal point within your home. 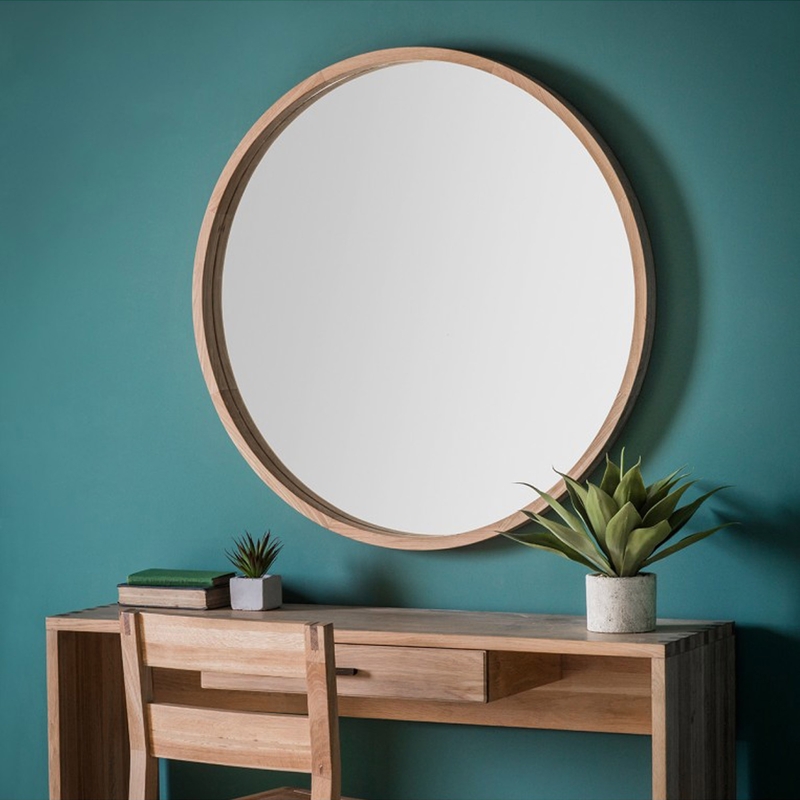 Bowman Large Round Wall Mirror features a wonderful round wooden frame and high quality glass within the frame. Due to this frames simple design it is outstandingly practical and versitile so it can easily fit within any room no matter the surrounding interior.